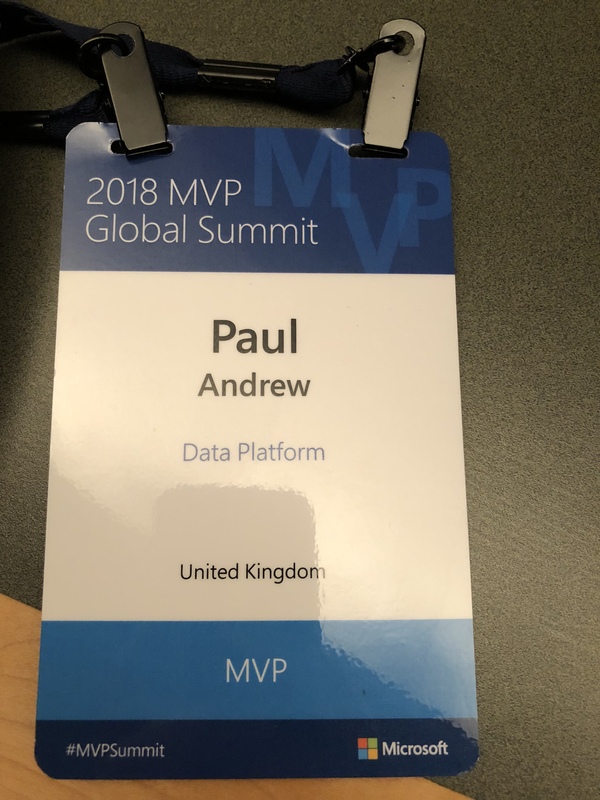 Having only been honoured with my Data Platform MVP award in July 2017 this March was my first MVP Summit. For me, this is the reward for all the hard work and community contributions throughout the year and beyond. It’s an opportunity to rub shoulders (drink beer) with the Microsoft product teams, engineers and group leaders. My expectations were high and I was full of excitement on the flight out to Seattle. I can now confirm the 4-day event (Sunday to Thursday) certainly didn’t disappoint and the long days, full of excellent content really was worth the trip. Of course, I can’t talk about the technical stuff as I’m bound by a none disclosure agreement with Microsoft. 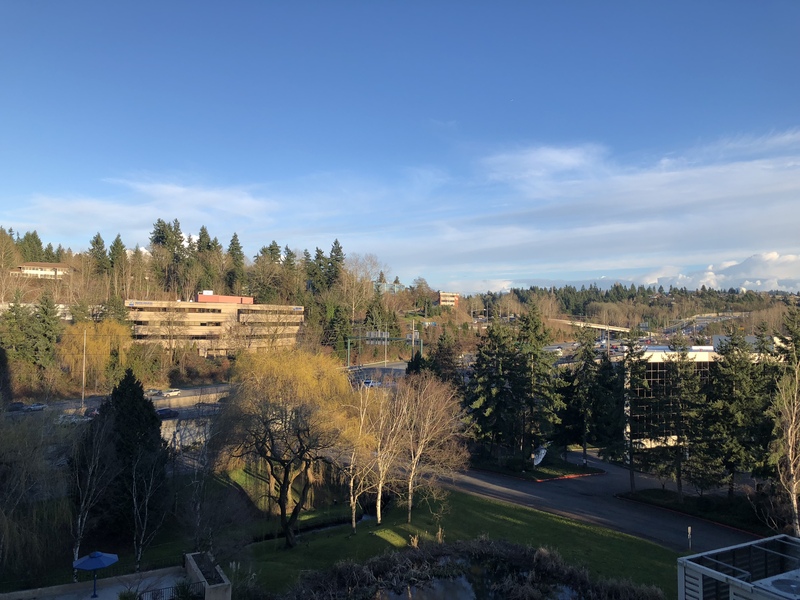 However, I wanted to blog about my experience for other new MVP’s attending the summit in the future and useful tips when staying in Bellevue. If you’ve ever visited downtown Seattle before, maybe for the PASS Summit, Bellevue is very similar. Myself and several other fellow UK MVP’s stayed in the Hilton and I shared a room with my beardy friend Rob Sewell. Tip 1: Sharing means Microsoft kindly pay the full cost of your accommodation. I can recommend the hotel for its on site Starbucks, spacious lobby and excellent breakfasts. On Tuesday morning we got smoked salmon, bagels and soft cheese. Yummy. Below you can see the hotel lobby and the view from our bedroom balcony on the 7th floor. 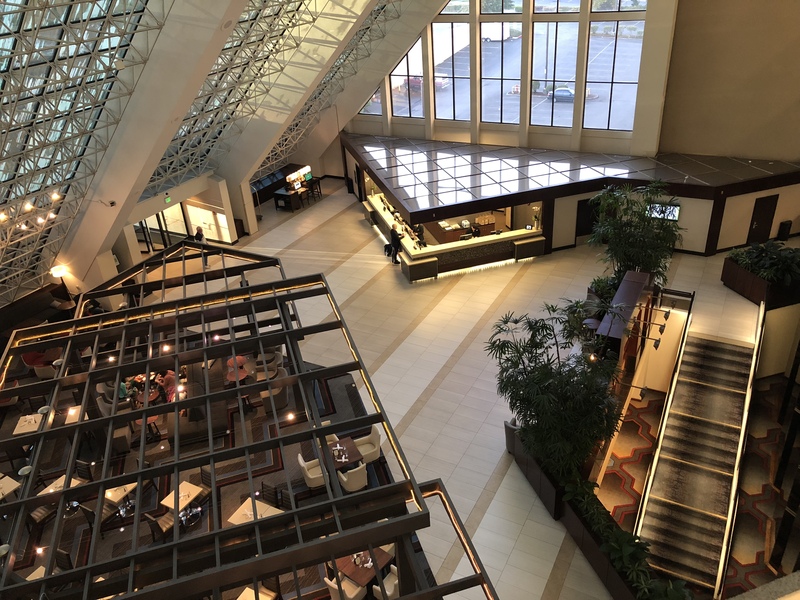 Tip 3: If you get the apportunity when you sign up for the summit you may wish to stay at the Hyatt Regency instead. It’s about a 25 minute walk from the Hilton. This is where the Sunday soft skills sessions take place as well as the evening social events. Below is me in the Hyatt lobby just before initial event registration opened on Sunday morning. 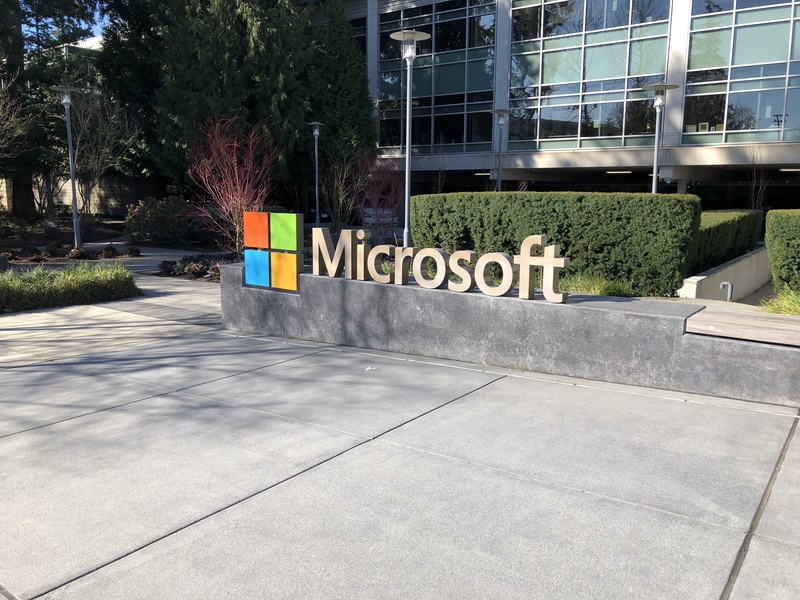 Tip 4: Registration will move to the Microsoft campus from Monday onwards so factor that in if you don’t manage to get to the Hyatt during Sunday. 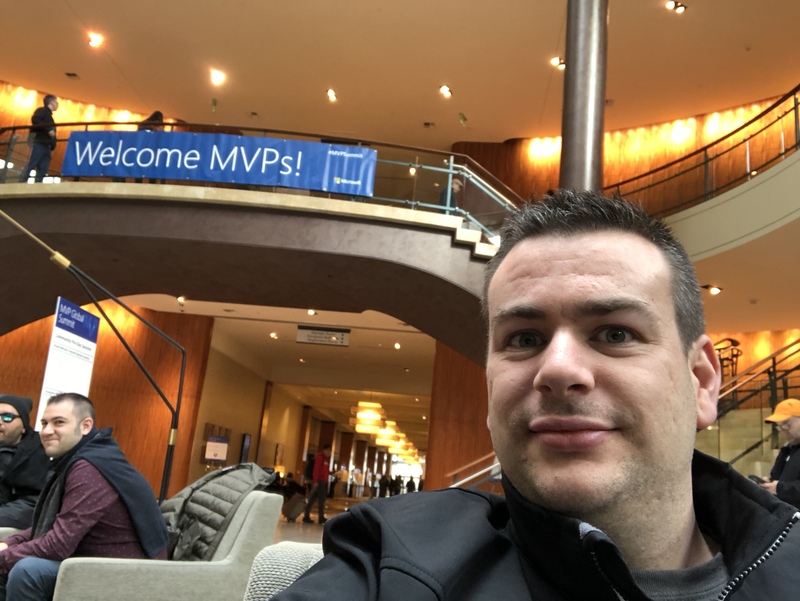 Each morning of the MVP Summit breakfast will be provided on the second floor of the Hilton where you can eat with other MVP’s before heading to the Microsoft campus. Coaches are arranged by Microsoft normally travelling from the Bellevue hotels over to Redmond, they run fairly frequently during the morning busy period. If you miss one there are several lovely helpers around to assist. 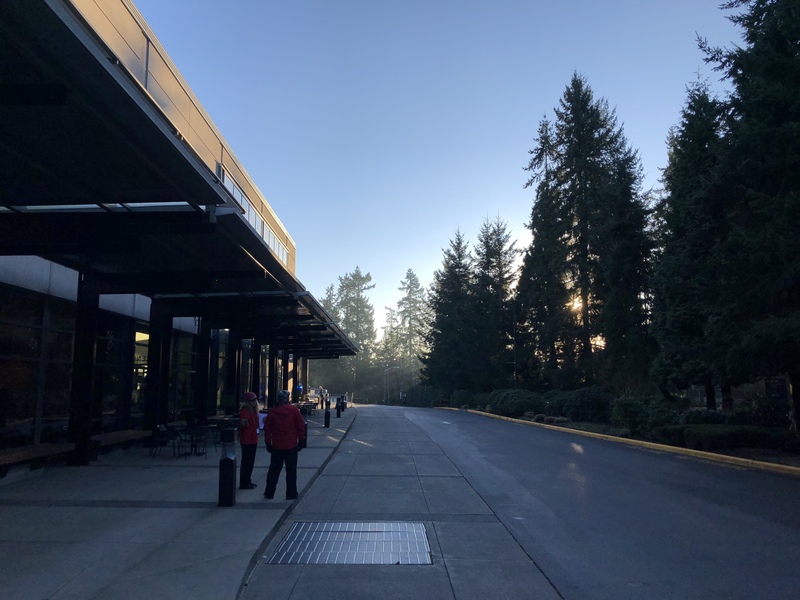 Tip 5: Be aware that the coach will take you to the Microsoft Conference Centre in building 33 of the campus, parking in the area seen to the right. Once there you’ll need to get local transport to move around the campus. 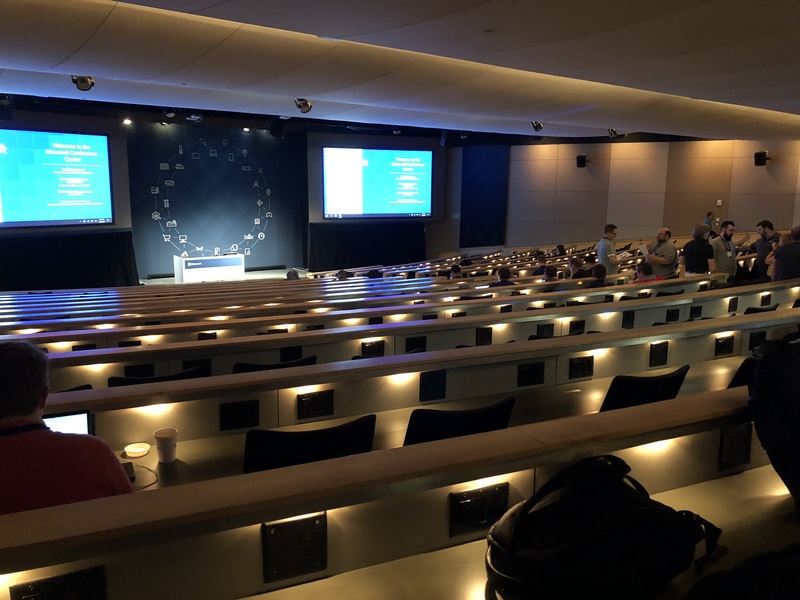 Tip 6: I recommend allowing at least an hour to get from your hotel to the relevent Microsoft building before the start of a technical session. Tip 7: Or, if you prefer, pay for an Uber yourself to go door to door which can be much quicker. 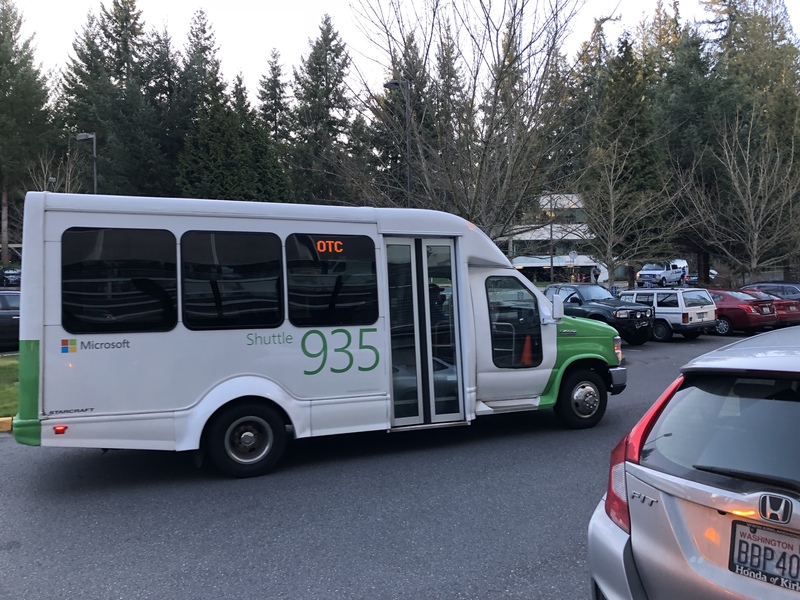 Throughout the campus and in Bellevue you likely see dozens of these little Microsoft buses, on the left, transporting people round and facilitating the machine! 🙂 I took a picture because I thought they were cool, probably just me! You’ll gather by now that the Microsoft campus is massive. Tip 8: It’s basically a small town with its own transport hub and motorway running through the middle. Don’t think for 1 second that you’ll be able to walk to everywhere you need to get to. This is also why you’ll see the agenda typically has 30 mins between sessions to allow for building changes. Tip 9: Use the MVP Summit app for more information including bus routes. Tip 10: Network, network, network. Stalk the product group managers on Twitter if you have to and make sure you engage with them. Don’t moan or be grumpy (coming from a grumpy person). Provide usable, constructive feedback. Being an MVP is a very privileged position where you get the chance to access such decision makers and share your thoughts, they really do listen. Tip 11: Hopefully this should go without saying. But just for completeness, respect your NDA with Microsoft, it’s a very serious thing and without it Microsoft couldn’t share all the great things they’ve got coming up. 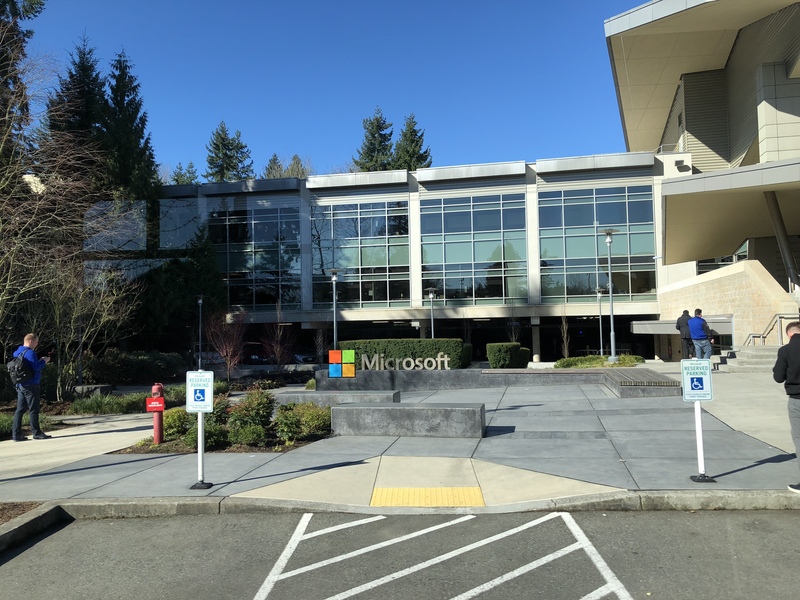 Here’s some more sunny pictures from the campus and the main Microsoft sign at building 92 that everyone needs a snap of. Tip 11: Building 92 is also where you’ll find the Microsoft store, be sure you make time for a visit to get yourself a discounted Arc Mouse. Below is one of the main rooms in the conference centre. Super silk with power and speakers along all the benches… Before you even think it, I can assure you the projection in the photo is nothing more than the lectern PC’s welcome desktop. In conclusion, the MVP Summit is a great event and I’m really looking forward to attending it next year. Is it me or did you miss Tip2 out?